Our Gourmet Half-Board is the best way to make the most of your holiday at the Hotel Bergland. Head chef Michael Eigl and his team look forward to tantalising your tastebuds with delicious regional food made using locally sourced ingredients. We will be happy to take into account your personal preferences and, of course, dietary requirements. We also offer a selection of low-calorie and vegetarian options. Large selection of breads and rolls. Dairy products, yoghurts and mueslis. Cheeses, incl. sheep's cheese from the region. Chef available for omelette variations. Our Late Breakfast is designed for all those who like sleeping in while on holiday. It is served in the Fireside Bar from10:00 and is available as long as you want. 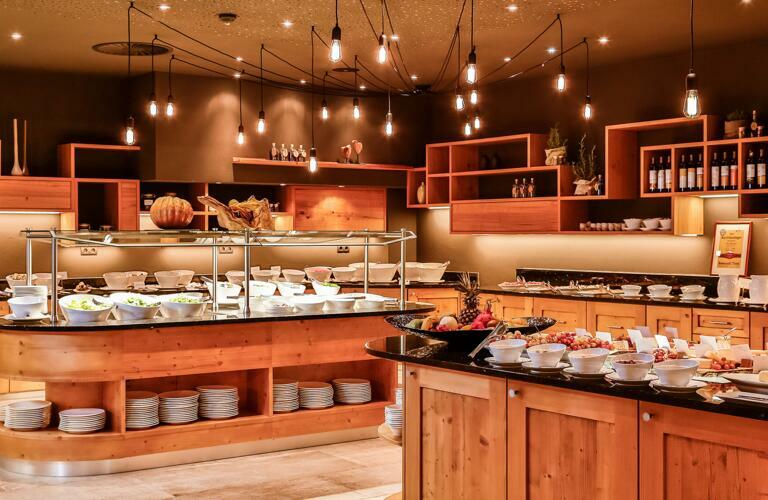 In summer there is also the option of taking breakfast on our sunny terrace with fabulous views of the Ötztal Alps. Our gourmet dinner is served from 19:00 until 21:00 and invites diners to embark on a culinary journey of discovery through the Ötztal Valley. A selection of vegetarian and low-calorie options are also available. Each gourmet dinner is accompanied by a salad buffet. We also hold regular themed dinners, with a suggestion of a selection of wines chosen byour own sommelier. Austria, Tyrol and the Ötztal Valley are home to many traditional dishes. From 11:30 until 21:00 every day we offer a selection of these "greatest hits" ranging from starters and mains to special Hotel Bergland creations and irresistable desserts. Bon appétit! 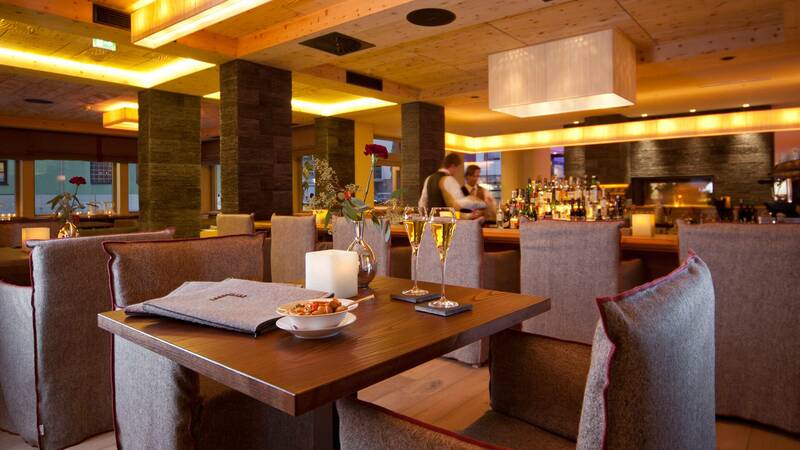 The à la carte alternative on holiday at the Hotel Bergland is Wine & Dine. Steaks, fondue and raclette all feature in this experience for at least two people. Let our sommelier find the perfect wine to go with your meal.